I can't say I am surprised, since I posted a picture of this a long time ago. Still, I think this is pretty horrible. I mean this is one of the busiest design I have seen in years, making the Mazda3 look like a classy model. It seems that every other hatchback on the market looks better. Just look at that rear bumper! This is pretty close to a visual nightmare. The good news is that now, the 1.5 Liter Turbo is available with the 6 speed manual, not just the CVT. The manual is available on LX, Sport and EX models. This is the current one. Sold in Europe. Not the best looking thing ever. But still. the new one makes this look like Marilyn Monroe. I still think the previous generation was the best ever. Never sold here, of course. Still a great looking, original design. 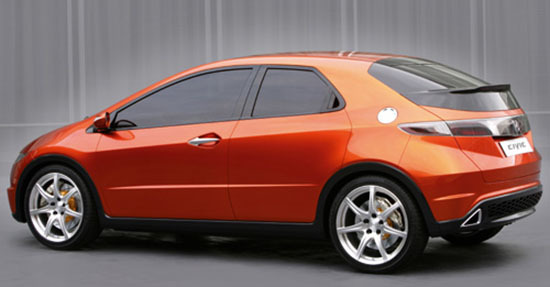 The last picture of the 2-generations old hatchback is of the 2005 concept version, just FYI, not the 2006 production version. 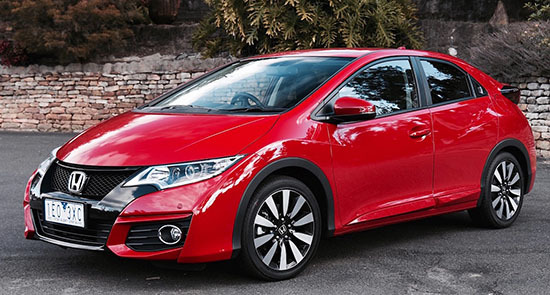 Another freaking home run from Honda. Oh yeah, Vince can you add an (s) at the end of "busiest design?" Dat azz! Dat phat azz! I agree, the previous bodystyle Civics for North America and Europe were the coolest. Nothing like the elegant late 80's/early 90's models, though, which are cult icons. The new cars looks like busy Chinese messes. It's a visual mess! 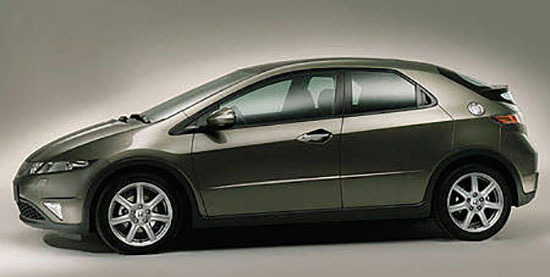 Honda designers should be ashamed! 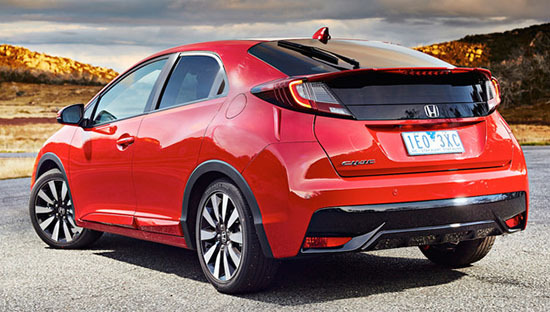 I think this may be the GT/Si/Type-R (whatever it will be called) model. I don't think it's too bad looking. Although with some of those wheel designs, it's like a Chinese copy of Kia's designs. This will have the best power to weight ratio and cargo room in it's class (we all know the Kia/Hyundai engine figures are overrated). They just need to address those 1.5T engine problems first, as it will be standard on the hatch. A head turner. I like it. Agree with many of your comments about styling, but this is a nice looking car.